The fifth of April 2017 welcomes home our very own Amy Macdonald to Edinburgh’s Usher Hall in the first of four tour dates here in Scotland. Having been on a break since her last album ‘Life in a Beautiful Light’ 5 years ago, Amy spent the latter two years writing her newly released fourth album ‘Under Stars’. Supporting act Newton Faulkner (solo acoustic singer/songwriter) opened the show with ‘Somethings about to change’, going on to awaken memories in the packed venue with the well-known song‘Dream Catch Me ‘ Fantastic use of lighting and well timed strobes ends Faulkner’s half hour set with his roof raising rendition of ‘Bohemian Rhapsody’ using only his own voice, acoustic guitar and a kick pedal he manages to pull it off epically, I had to check twice if there was at least one other person on the stage with him because it sounded as if there was a whole band. A treat of a supporting act complimenting tonight’s event perfectly. 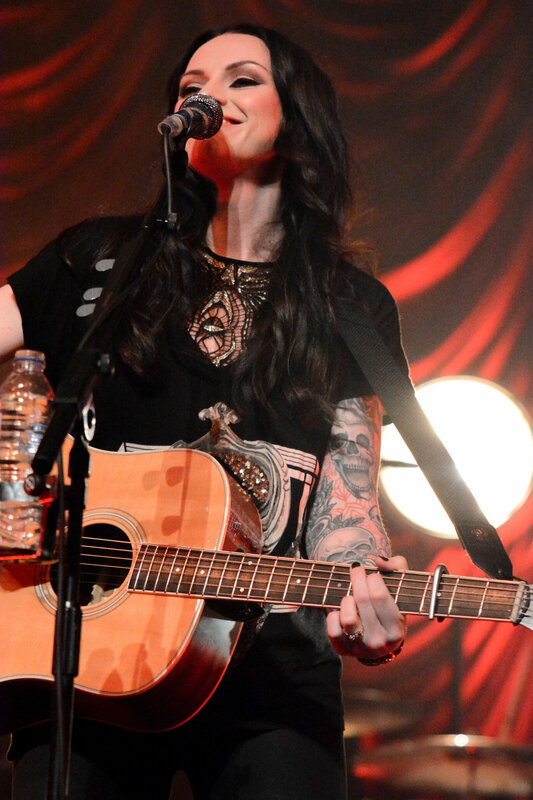 With an already Enthusiastic crowd in front of her Amy Macdonald takes to the stage holding her acoustic guitar, she’s looking glamorously rock chic, wearing dark skinny jeans, sparkly heeled boots and sporting quite an impressive tattoo sleeve on her left arm. Amy kicks off the show with ‘Under Stars’ from her new album of the same name. This uplifting rock song/folk song about daring to dream and making the most of your life reminded me a little of the Levellers ‘Boat Song’ not so much in the lyrics but in the rhythm and sound of it. Amy interacted with audience well giving it a good personal touch and at one point while sipping a hot cuppa joked how these cups were available from the official merchandise store saying “my lovely mug is actually for sale”. 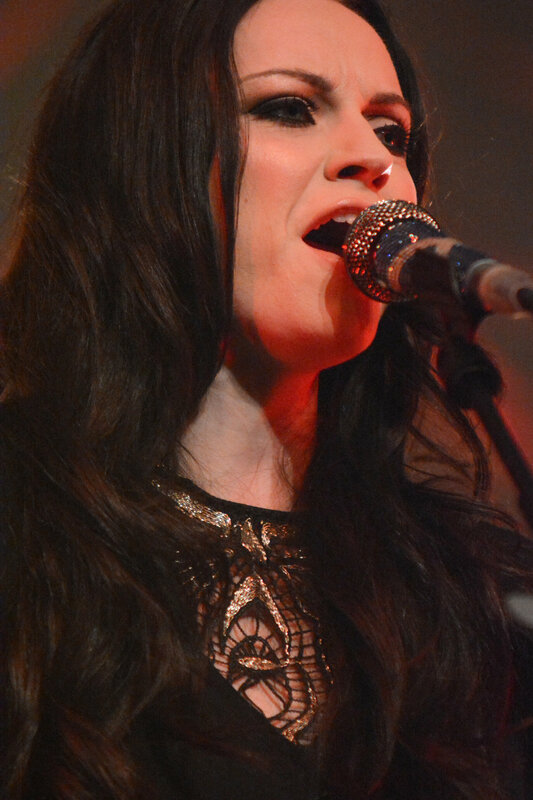 Along with Amy Macdonald’s signature songs such as ‘Mr Rock and Roll’ and ‘This is the Life’ which had the whole venue singing along, whistling with appreciation and dancing, the crowd were almost silenced with one or two ballads including ‘The Youth of Today’ describing the song herself as a “stripped back romantic ballad” This was one of her first ever songs, written when she was only 15. I can’t finish this review without adding that Amy’s cover of a Doobie Brothers classic ‘Listen to the music was just awesome. The whole night felt like one big Celtic rock party hosted by Amy and her band. 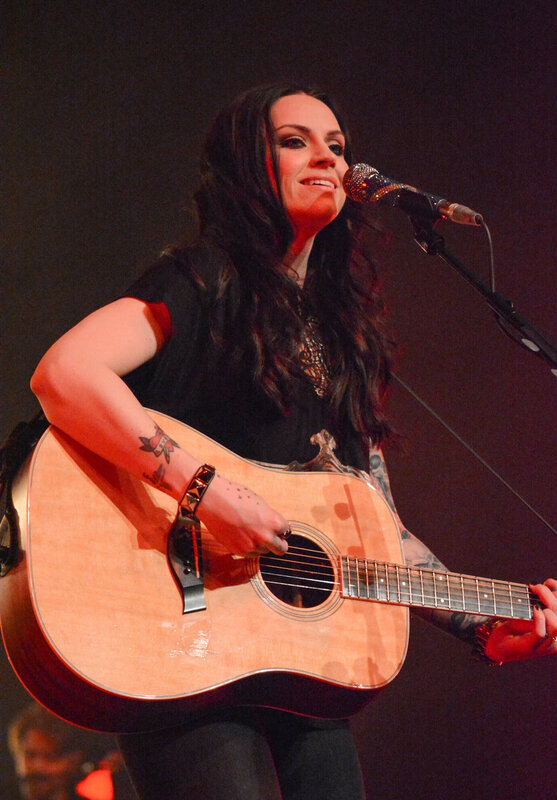 I love how I get a patriotic feel about Amy Macdonald’s singing style she truly has an unmistakable powerful singing voice which I would describe as rock with Celtic undertones. It was a pleasure to attend such a fun night. Amy proved to us even after a five year break that good things do indeed come to those who wait.